Since this is our first weekly round up of the year, we’re taking liberties. A couple of the bikes below popped up last month already, and a couple more have just landed in our inbox. 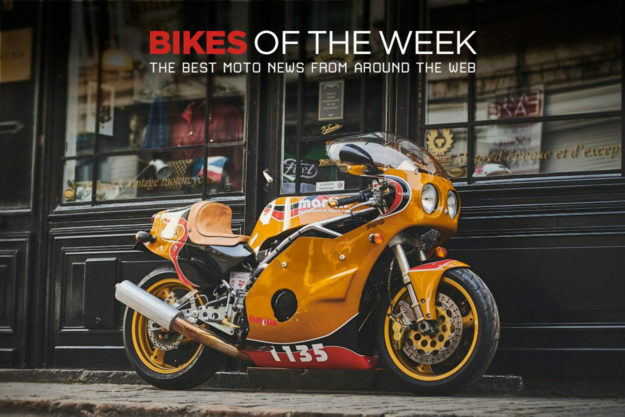 The list includes everything from a Ducati 750SS dressed as a MH900e, to a BMW R nineT built up with kit parts. We’ve also got a retro-styled Yamaha XJR1300, a rare Moto Martin M16 and a little Honda Z50R filled with attitude. 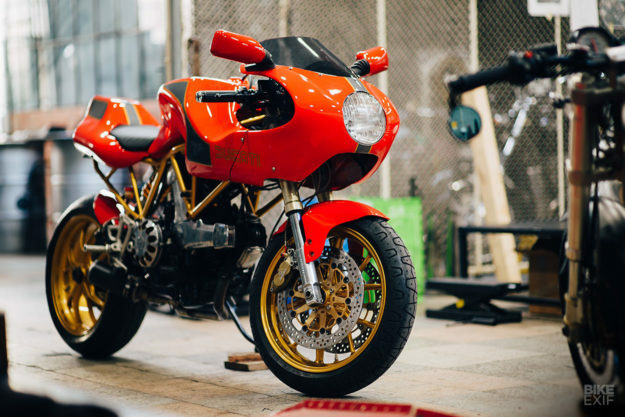 Ducati 750SS by Unik Edition The Ducati MH900e is one of the most iconic motorcycles Ducati ever built. But they only ever built 2 000 units—so if you want one, you better have the bank balance to back up your dream. 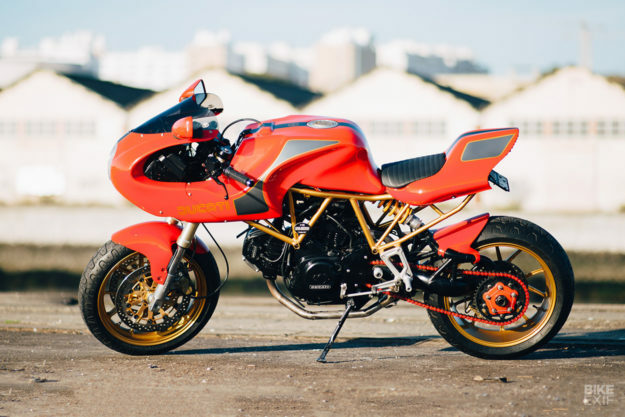 Unik started with a 750SS, then added the wheels and swing arm from a newer Monster S4R. Then they matched up a MHe fairing and tail kit to the stock 750SS tank (which was reportedly quite a mission). Martin M16 1135 EFE Suzuki If you’re looking for vintage machinery that’s truly collectable, Legend Motors is a good place to start. 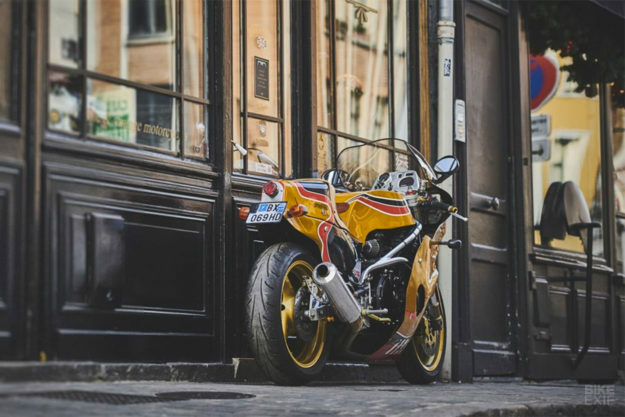 They’re based in a beautiful shop in Lille, France, and they’re the place to go for rare and special classics. Don’t take our word for it; this gorgeous specimen has just popped up in their inventory. It’s an early 80s Moto Martin M16, and it could be yours for a cool €16,800 (about $19,150). Moto Martin is a boutique French frame manufacturer, founded by Georges Martin way back in 1970. Martin’s work was originally based on the frame designs of Fritz Egli, with a focus on rigidity and weight saving. This particular model—the M16—uses a perimeter frame design, and is equipped with a Suzuki GSX 1135 EFE motor. 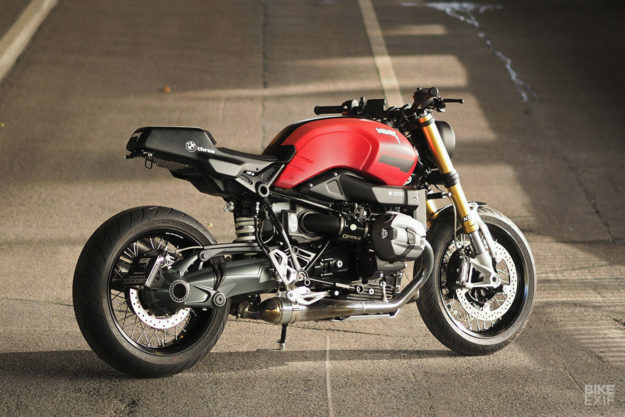 BMW R nineT Parts from JvB-Moto Jens vom Brauck built a BMW R nineT a while back that knocked our socks off. I was lucky enough to not only see, but also ride it—and it eventually landed on our Top 10 for 2017. Even though Jens swore that the bike was a one-off, he did hint that some of the parts would make it into production. And now they have, via JvB-Moto’s parts partner, Kedo. 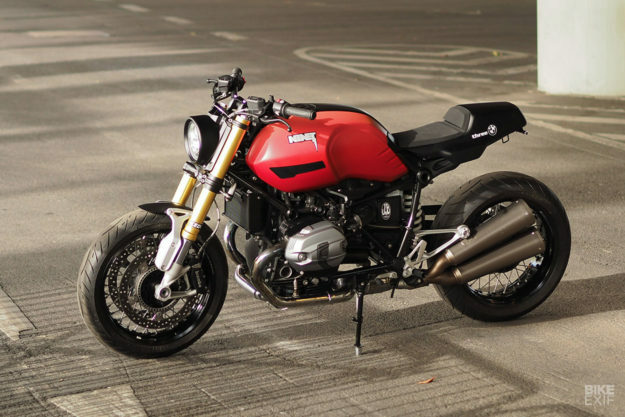 This red R nineT’s carrying a selection of the new parts. Up front is a headlight in the usual JvB style (it’s available in three versions), with an optional bracket that holds a Motogadget dash. Out back, you’ll find a sharp new race-inspired tail piece, with a slim LED light embedded in the back. 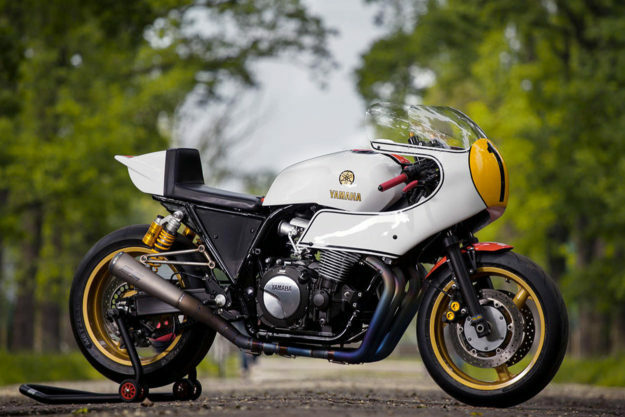 Yamaha XJR1300 by Venezia Moto This XJR belongs to Federico Agnoletto—the man behind the incredibly well attended Verona Motor Bike Expo. The Expo includes scores of custom bikes, so Federico decided it was time to build a custom of his own, that would be worthy of display. 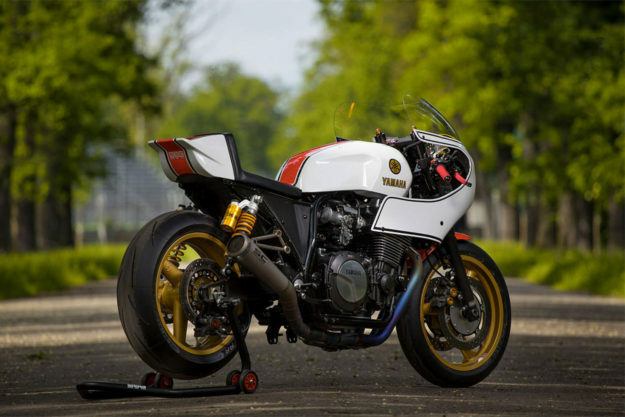 Enlisting the help of Italian Yamaha dealer and workshop, Venezia Moto, he created this beautiful throwback iteration of the Yamaha XJR1300. Venezia Moto was a logical choice; they took top honors a few years ago at the show, in a build-off organized by Yamaha themselves. Federico picked the burly XJR as a donor, and then settled on a design direction. 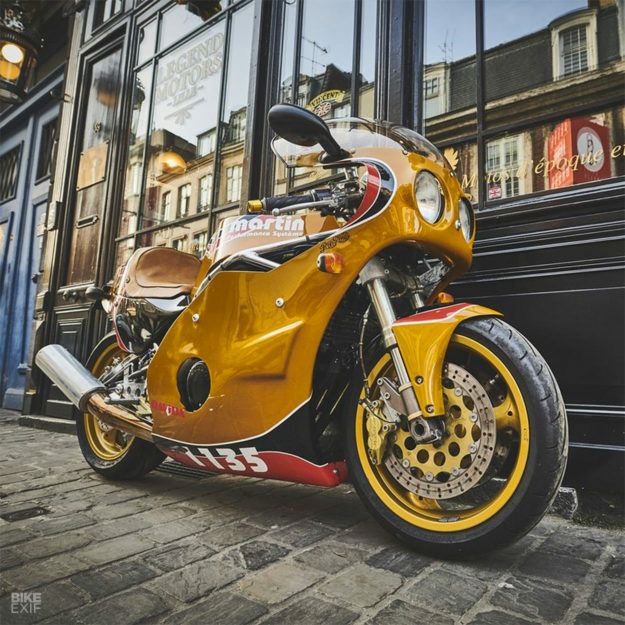 Inspiration came from Giacomo Agostini’s World Championship-winning Yamaha OW23 YZR500. That meant a full array of race-style bodywork, built from scratch to resemble Ago’s YZR, but fit the much bigger XJR. 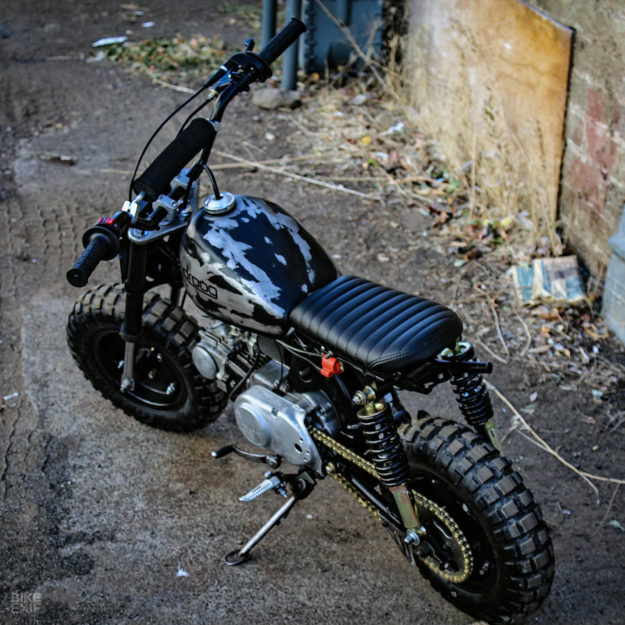 Honda Z50R by Droog Moto Little bikes are big fun, right? A lot of people think so, and that philosophy’s been creeping steadily into the custom scene over the last year. 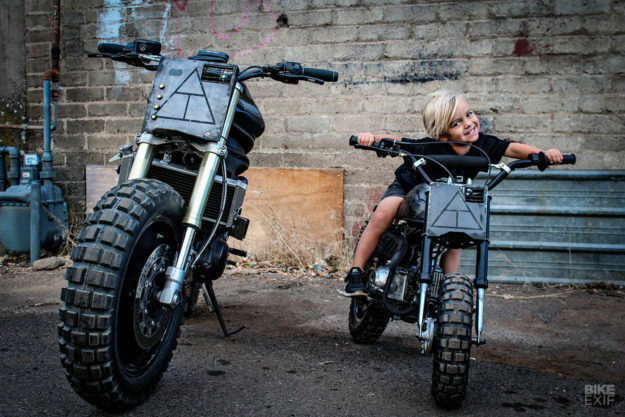 Here’s a contender from Droog Moto in Arizona. 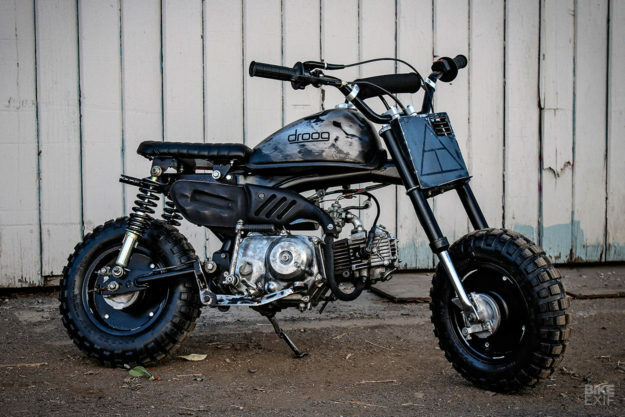 Droog set about fabricating similar mods to the Ninja’s for the little Honda. On went a front number board with a stubby fender, and a set of MX bars. The rear end was reworked with a new seat, but the stock fuel tank was left alone.